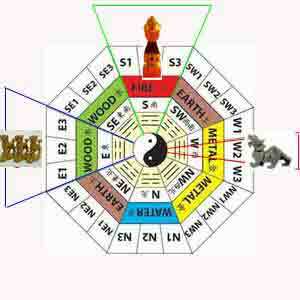 For Feng Shui and 4 pillars of destiny or paht chee charting purpose, the year 2017 does not start on New Year Day of 2017 i.e. 1st January 2017 or the Chinese New Year of 2017. The Chinese New Year of 2017 falls on the 28th January 2017 and this is the 1st day of the lunar calendar. For the purpose of Feng Shui or Paht Chee reading, the year 2017 or the year of the Rooster starts on 3rd February 2017 at 23.49 hour (120E). This day is the beginning of spring called Li Chun of the solar (Hsia) Calendar. For paht chee or 4 pillars destiny reading purposes, on 3rd February 2017 at 23.49 hour (120E) the animal sign changes from the "Monkey" to the "Rooster". From my personal experience, most Chinese does not know the year of the Rooster will starts on 3rd February 2017. They would relate their birth year animal sign wrongly by following the Lunar Calendar. Tai Sui is one of the strongest sha qi (killing qi) of the year. Tai Sui is a fictitious star corresponding to Jupiter. For the year 2017, Tai Sui is located towards the 2nd one-third of West corresponding from 262.5° to 277.5°. Do not disturb this sector. Do not sit facing the Tai Sui direction. Sit with the Tai Sui behind you in any business negotiation. By this way you are making the other party confront the Tai Sui which will assist you. Place a pair of Pi Yao in this sector to pacify the sha qi of Tai Sui. 5 Yellow is one of the most deadly afflictions of the year. 5 Yellow is the annual misfortune stars. For the year 2017, the 5 yellow occupies the South sector of any building corresponding from 157.5° to 202.5°. Avoid anything that is red in color or open burning flame in this sector because fire will strengthen the earth energy of 5 yellow. Place round golden yellow color objects such as golden CDs in this sector or the traditional 5-element pagoda in this sector to exhaust the earth energy of the 5 Yellow. 3 killings is an annual affliction. When it is disturbed, it will bring injury, back-stabbing and sickness. For the year 2017, the 3 killings is located towards the East corresponding from 67.5° to 112.5°. Do not sit with the 3 killings behind you. You should face or confront the 3 killings. 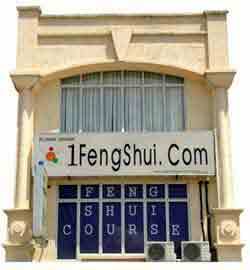 Place 3 Qi Lin in this sector to pacify the sha qi of 3 killings.